If the above statement does not fall within your line of thought, then your business is definitely missing out a huge chunk of the market. The whole point of starting this write-up on a negative tone is just to drive home the simple fact and that is the undeniable influence mobile phones exert in business today- either it is for big brands or small/micro startups like the food trucks lined up on the side of the road. The basic point here is that any entrepreneur can actually benefit from mobile apps business. 80% of user time is devoted to serving the internet and accessing different mobile apps. Push Notifications in mobile apps receive 97% of user responses. Total time spent per day on mobile devices has increased to a whopping figure of over 575% in three years. Facebook app usage covers nearly 81% of the total smartphone users. Apps offer a user experience which even 'Responsive Websites' are unable to provide. Considering the fact that there are approximately over 35 lakhs applications in Google Play Store only, any business without an online presence especially in the form of smart applications is likely to wither away in no time. Business from mobile apps has proved to be a game-changer for many startups. There are a few such small businesses that prefer to carry out their work only through an application. Guess What! They are actually doing pretty good. Brands like BIg Basket and Grofers are two such examples. Profit generated from mobile app businesses is huge. There are statistics to support this statement too. Global mobile app revenue is projected to reach $188.9 billion by 2020. In 2017, global revenue from in-app purchases was projected at $37 billion. Paid app downloads contributed nearly $29 billion of the business in 2017. In fact, the era of digitization has created alternate yet multiple options to make money, a lot of money. Mobile app business looks promising compared to the other options. And when users have alternate ways to get their demands met and fulfilled, why do you think your traditional approach to making a profit can ever stand a chance to beat the competition? The above figures and facts, therefore, highlight the increasing dependence of users on Smartphone's in this to the century and in the years to come. So you either choose to make a profit from the mobile app business or opt for a mobile application to increase your offline startup. Whatever your choice may be, the mobile application is the only medium to stay in touch with your key customers. Cutting out apps, your startup plan will never culminate in a fully running and successful business operation. General Data Protection Regulation (GDPR) as a new law, effective May 25, 2018, requires some additional changes in the development of Mobile Apps, websites work currently. The base of the law requires ‘Remove Me’ for an end to end users and this shows appropriate UI interchanges so that data encryption in saving and archiving. Sites using machine learning also need security in the way information can go through or visible for the end to end users to ‘Stop Processing My Data’. RIGHT TO MENTION: ‘Remove Me’ options for the end to end users and integration tests to obtain the data sequences to erase all user data automatically. SECURITY and Working with 3rd Party APIs to erase the user data at their level all the way. CARRY MY DATA: for users to show them to export their information. VISIBILITY OF MY SOURCES: Perform changes in the server, front-end screens for users to be able to see their information in a perfect manner. 16 YEARS AGE RESTRICTION related GUI and systems accomplishment. DATA: Encrypted with secret keys, at rest, backups alongside restricting the timelines of data archiving and protecting the data integrity, the key would treat as a secret. GDPR Register and Personal Data Key logs. Swift Perfect is a powerful toolbox, framework, application aura for Apple iOS. 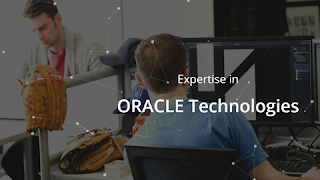 It provides everything (possible for the server side) a Swift developer needs for developing light code, flexible, and optimized apps and other restful services entirely in the Swift programming language for both client-side and server-side mobile applications. Swift perfect built on a high-extension parallel networking, it can also run on fast servers, and it supports security layers. There are lots of other features including a suite of server tools commonly required by internet servers such as an iOS (APNS) push notifications. It Uses apple’s Swift programming language, your entire build-up process. No matter you’re building iOS and OS X apps, or backend support for web apps, technologies, and games, you do not need to learn another programming language when you use Perfect on the server-side. Remove code which presents twice by using the original code for object models. Perfect carry your development process so you can use much of the same extensions and category classes for both client-facing and server-side development. Perfect provides full Xcode development and debugging support to help you ensure your code would be bug-free and got short to run perfectly. It provides the feature for debugging the client and server at the same time with the same tools. · This particular measure is called spectral norm, and it’s just math number ruminating. It tries to remove all of the available CPU, and the benchmark, in this case, uses main thread and runs on all four available CPUs on the machine. · Now Swift accomplish their task in four seconds. Java does it in just about the same time, in 4.3 seconds. So, Swift and Java’s performance on four-way Linux for this task is actually almost unique. You then look at something like Node.js. Node.js takes 15.8 seconds. It’s roughly more times slower than running Swift or Java. If you run something like Ruby, then it’s incredibly slow. Ruby is not a language for doing computation, largely because it doesn’t have a form of just-in-time compiler under it like Node.js and Java does. · For performance reasons, Swift’s a really interesting language to be running on the server. But it’s also excellent for memory management. Looking at the same benchmark, and at the resident set size (the amount of self-memory that’s needed to run that benchmark), Swift requires 15MB worth of memory. Java, however, requires 32, so you’re running at half the amount of memory but getting the same performance. Node.js needs a little bit less than Java, but it is still a lot more than Swift. And again, Ruby requires quite a lot. How does it get Swift running on the server? The first thing we have to do is make the language run there. When Swift became open-source in December last year, on Linux it wasn’t complete. It had the Swift runtime, the standard library, a little bit of foundation, and it had a version of dispatch, but it didn’t compile, and it certainly didn’t pass any of the tests. Where they are now is that it has a working version of foundation and it has a fully working version of dispatch, and those are both in the Swift 3 toolchain. That now gives us consistent platform between client and server. The next thing you need is a web framework, and IBM’s been working on one called Kitura. There’s a whole number of other ones out there. Then you add a couple of necessary things in order to be able to run the server-side codes. The first thing you need is networking. You also need security if you’re going to do HTTPS and secure web sockets, and you need some form of HTTP parsing. They have added three additional libraries to do that. We’ve then added our web framework and once you start writing you client application you can then start to take application libraries used by your application and use them on both sides, client and server. It’s the right thing to do because it’s a good library. When we find a performance problem, and we fix it in dispatch, the rest of the community inherits that. When someone else finds a problem in dispatch, it gains from that as well. So the more users there are of a given component or a given library, the more sharing there is, the higher quality it becomes and everybody benefits. As part of that drive to use standard components, we’ve been working with Apple and some other people in the community for the last couple of months to turn those previously mentioned components into standards: Networking, Security, and HTTP parsing. Make them part of the Swift runtime and create a set of server API components. Big Hello from Nile Technologies! Nile Technologies offers complex technology solutions in the enterprise space, having an experience of 7+ Years in our bucket. 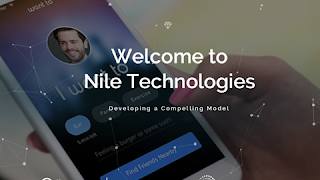 Nile also has experience in Application Development, Application Integration, Project Management, Mobile App and Portal development in various leading verticals such as BPO, Telecom, Logistics, Travel and Tourism, Manufacturing. Our services span Consulting, Implementation and Rollouts, Upgrades and Migration, Application Management, Support and Custom Development. Do make sure to check out our profile and give us an opportunity to connect with you, to make you a part of our journey.